Mitre Peak reflecting in Milford Sound. Mitre Peak left (1683m), Stirling Falls left. 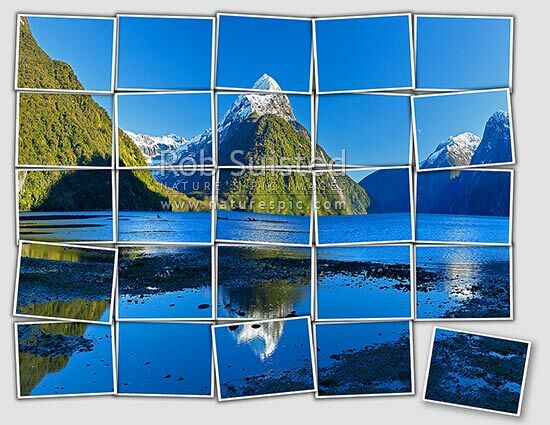 Postcards effect, Milford Sound, Fiordland National Park, Southland District, Southland Region, New Zealand (NZ), stock photo.